The Park is open! Jurassic World brings fans back to the Jurassic Park franchise in a big and exciting way. Actress Courtney James Clark spoke with Dispatch Radio about the film, her role as one of the park’s ‘trainers’ and her upcoming film, Mind Puppets, with Kevin Pollak. 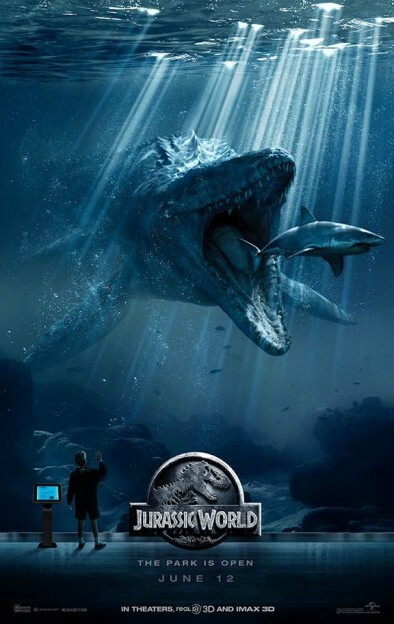 Fans have been awed by the mosasaurus footage revealed thus far and Courtney reveals how director Colin Trevorrow developed the creature, gave her insight in the final creation and how everyone on set wants this to be a success. She talks about many of her experiences, jokes about how her character “could” return for the sequel — Jurassic World 2. Courtney also talks about the comedy thriller with Pollak, working on the set and how that has impacted her as an actress. Mind Puppets is a Juan Curi directed film, but little else has been released about the details, so check out what Courtney has to say and the scoop for yourself. Jurassic World stars Chris Pratt, Bryce Dallas Howard, Ty Simpkins, Jake Johnson, Nick Robinson, Vincent D’Onofrio, Irrfan Khan, Omar Sy, Judy Greer and BD Wong reprising his role as Dr. Henry Wu.